The Pi2 Squad from Groningen organized an epic poolparty in the empty pool/skatepark in Groningen! Fueled by a lot of beers and joints everyone ripped hard during the best tricks on several cool obstacles. Prizes by Spitfire Wheels and Shake Junt. Check out the video by Flatspot Magazine below. 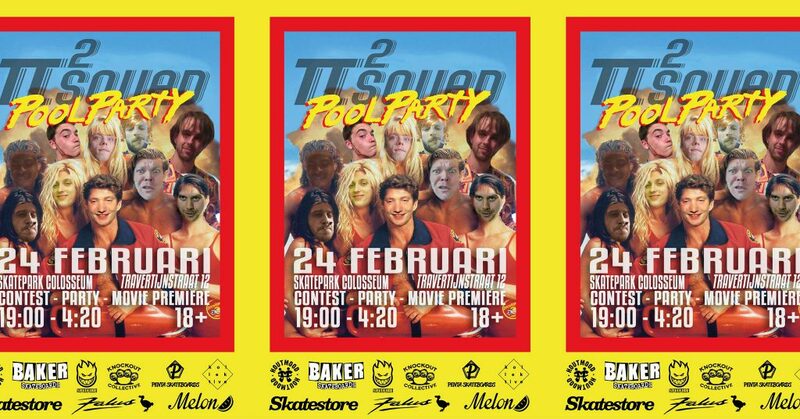 Dit bericht werd geplaatst in Shake Junt, Spitfire en getagged met groningen, pi2 squad, poolparty, shake junt, spitfire wheels op 31 januari 2017 door admin.